Cat owners are usually discouraged to share any food with their cats and there is good reason for this. Most human food is either very unhealthy or downright dangerous for our feline friends. 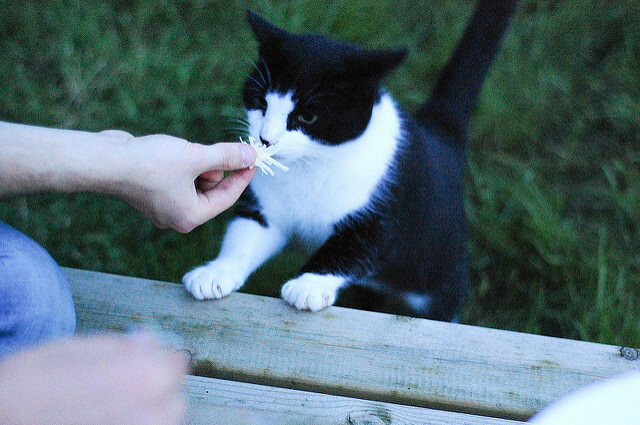 However, sharing a piece of our food here and there, assuming it’s something healthy, can be fun for you and your cat. 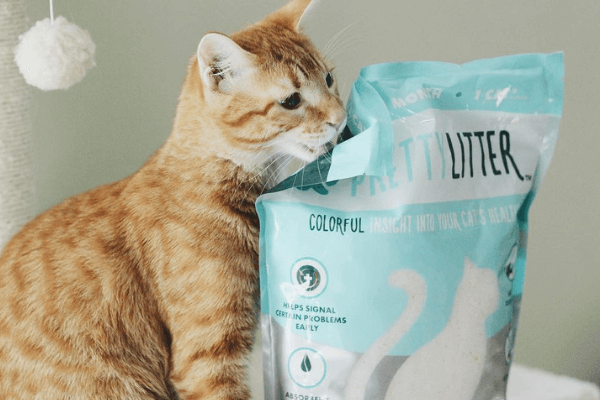 Always check with your veterinarian about giving your cat any human food, but once you’ve gotten the OK, feel free to give your kitty a taste of these safe treats. Like any treat, remember to feed them sparingly. Cats are carnivores, so feeding them lean meats is an excellent snack. Make sure you stick to ground beef, chicken, turkey, or fish and avoid things like bacon or ham. Too much fat can cause gastrointestinal upset and other issues, but a small piece of lean meat will be healthily enjoyed. Eggs should be cooked and can be added to your cat’s meal or given as a treat every so often. Scrambled eggs are often the easiest and safest as they are cooked all the way through. If possible, hold off on any salt, pepper or other seasoning as these are unhealthy for cats. 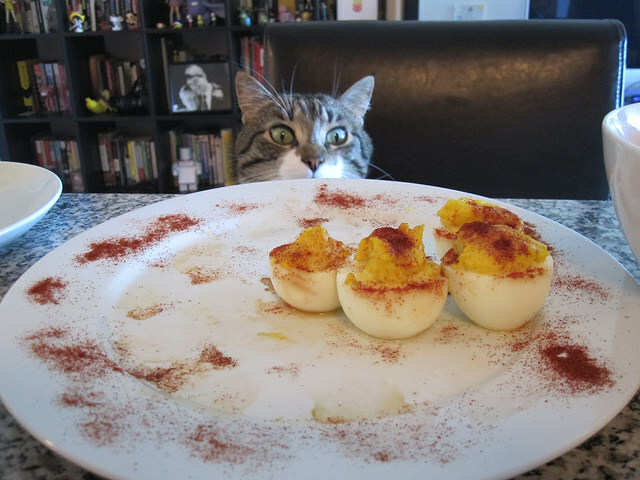 Most kitties love an egg snack here and there. Most cats love cheese treats, but make sure your kitty doesn’t have any lactose intolerance before feeding. Some felines can’t tolerate cheese at all, but there are plenty that do and enjoy having a piece here and there. Some people even find they enjoy training their cats with cheese. Green beans are very low calorie and high in fiber and are a great choice if you’re looking for a healthy snack for your cat. Green beans are even added to some regular meals if owners are trying to get their pets to lose weight while still feeling full. Bananas are a healthy snack for cats if you can get your kitty to try one. They are high in potassium and are very easy to share! 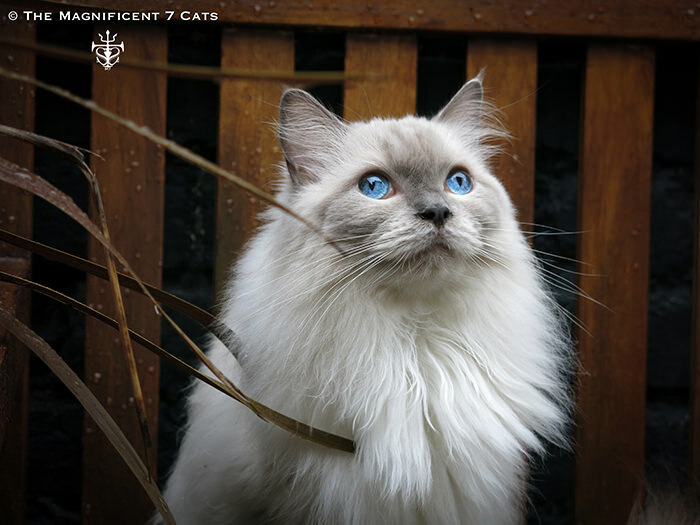 The texture is even ideal for older cats or felines with dental issues. Give your kitty a piece and see if they enjoy it!